Pioneers in the industry, we offer bottling machine, shape pouch filling and sealing machine, juice packaging machine, pepsi pouch packing machine, 8 nozzle juice filling machine and automatic liquid filling machine from India. 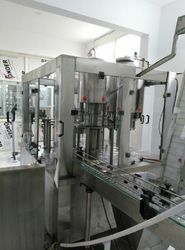 We are offering Bottling Machine to our clients. Automatic Weight Metric (Load-cell Base) Pouch Packing Machine Fully Automatic Liquid Filling Machine. We are offering Shape Pouch Filling And Sealing Machine to our clients. we have wide range of juice packaging machine and all are fully automatic machine. Pepsi cola machine is used to fill juice pouch. this machine is prepare in fully ss body with aluminum sealing parts. With our immense domain expertise, we are engaged in manufacturing, exporting and supplying a wide range of Fully Automatic Pepsi Cola Machines. These are widely used for free flow liquid packing like Pepsi cola, lime juice, Rasna etc. The offered range is fabricated by our experts using optimum quality factor inputs and advanced technology as per the given industry standards. These are widely praised among clients for their longer service life, corrosion resistance and robust construction. The offered machine is tested on various parameters in order to deliver flawless range at clients’ end. Clients can avail the offered range from us at the most reasonable price. We are offering 8 Nozzle Juice Filling Machine to our clients. 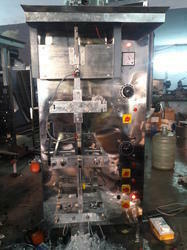 We are providing liquid filling machine which is used to fill edible oil, Ghee, Edible oil etc. We are offering Synthetic Juice Filling Machine to our clients. We are offering Synthetic Juice Process Plant to our clients.